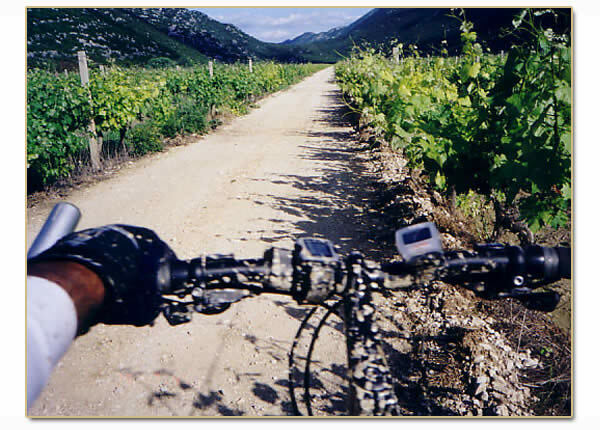 Going through this programme you will use the paths which connect the coast with the hinterland of Dalmatia, going through the pass of the massif Biokovo which is on same places over 1700 m high. The participants will get know the beauties of the area where you can find rivers, lakes, mountains, fertile fields and sea, It will be the opportunity to learn the way of life of local population and its turbulent past.. The generations of handlers, smugglers of tobacco and especially the mountain inhabitants have made the paths for this programme. 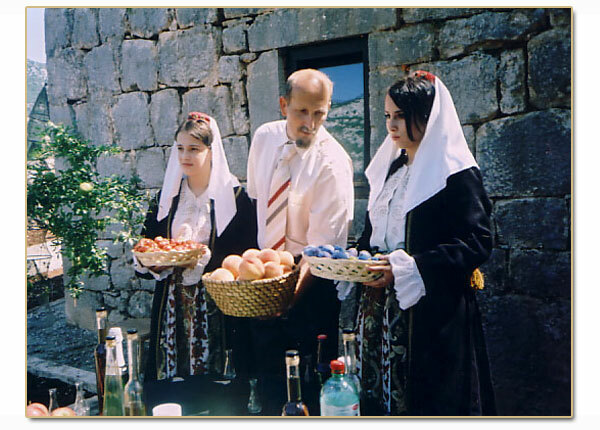 About the programme take care the guides who grew up in these parts of Dalmatia and know the surroundings very well. 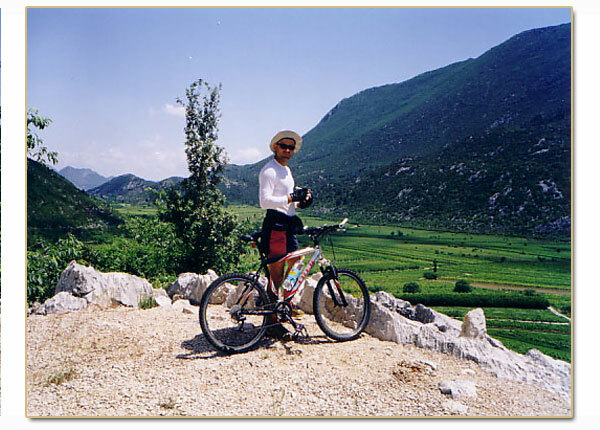 Programme includes: Guides in strange languages on every relation, full board in the hotel «Prvan» and in the village house Kokorići, lunch in Makarska, transfers to and from airport and during the trip, skipper on the boat, using the boat and mountain bike and the organization. The programme is made in such a way that you walk over five (5) hours per day through mountain paths and ways until 800 m above sea level and you spend with the guide up to 10 hours daily. You need good physical condition and to ride a bike. Generally have tourist to prepare themselves for a longer stay in nature which includes food (food is organized ) as well as lower comfort during the stay in village houses (common shower/WC and one sleeping room for all). VERY IMPORTANT NOTICES! 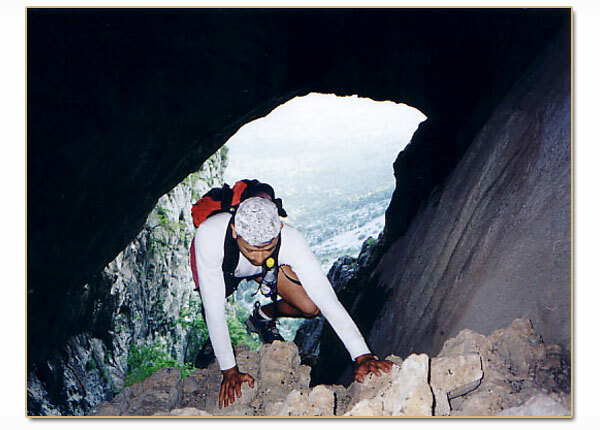 YOU SHOULD TAKE comfortable shoes for walking from firm material because of karst terrain, light shoes for biking and free time. It is useful to have rucksack for one-day needs, thermo-bottle for drinks, waterproof or thermo clothes (depends on time of the year) and something for protection for the head and hands (hat, gloves etc for colder weather). In summertime you should take creme against sun and hat or cap. DON’T FORGET TO TAKE YOUR CAMERAS WITH YOU!!! 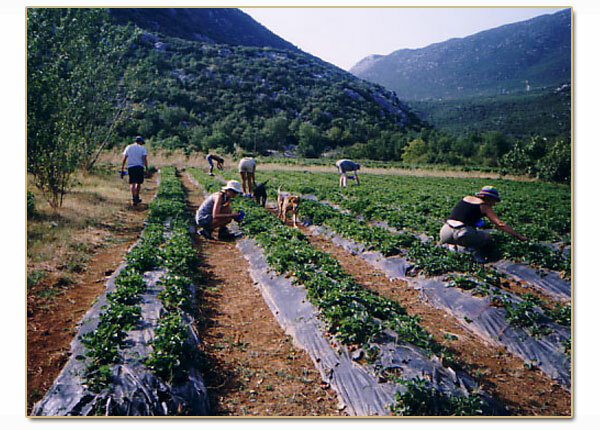 The life in the karst surroundings of Dalmatian zagora was very hard during the history. 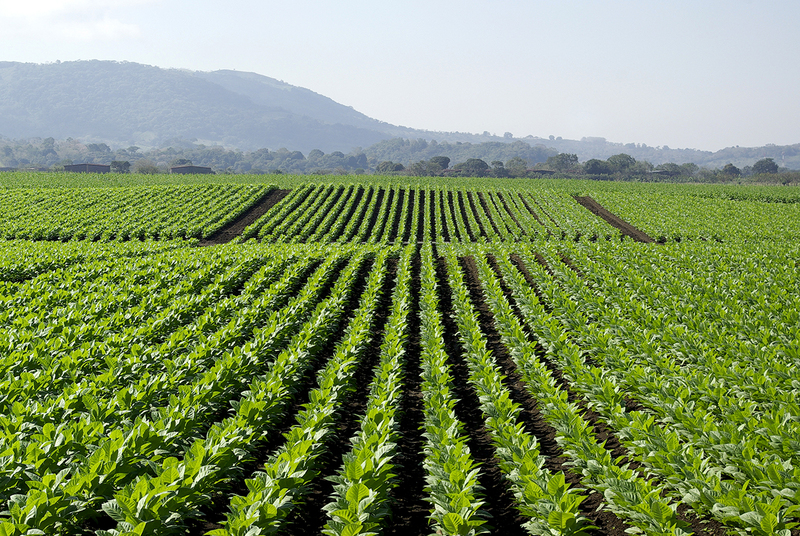 One of the very rare plants which could grow here was TOBACCO. 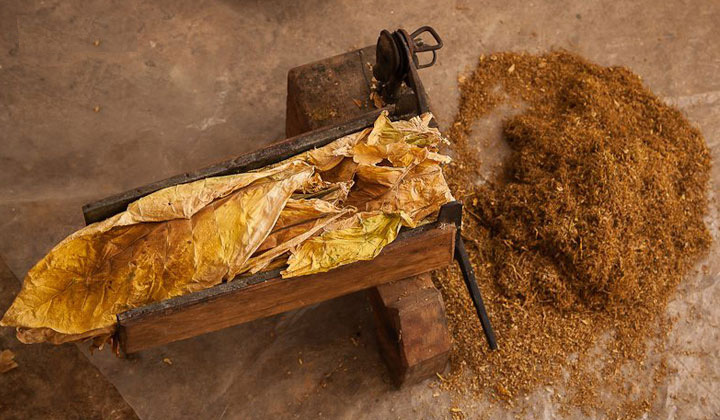 The state strictly controlled the tobacco production so that the production for your own needs and free sale was strictly forbidden. That is why black market with tobacco was very good but dangerous business. The smugglers used unknown paths and mountain passes carrying their burden and handling with it. Those adventures are today the subject of legends still living in memory of the local population. 1. 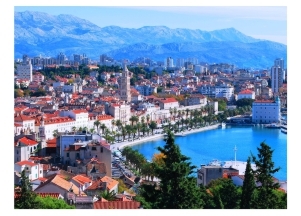 Day – Arrival to the airport Split. 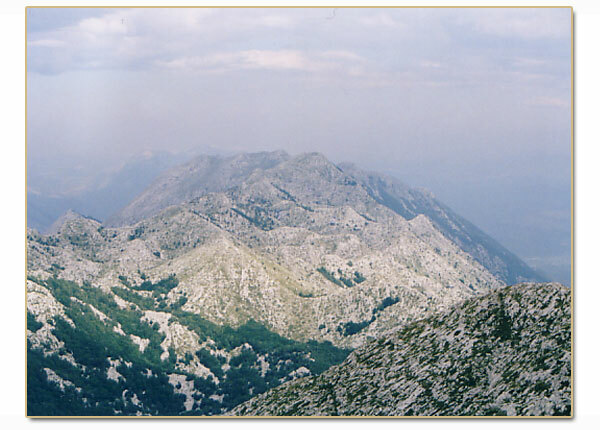 Transfer to Vrgorac (240 m above sea level Dinner and overnight in hotel «Prvan in Vrgorac. 2. Day – Breakfast. Learning the surroundings. 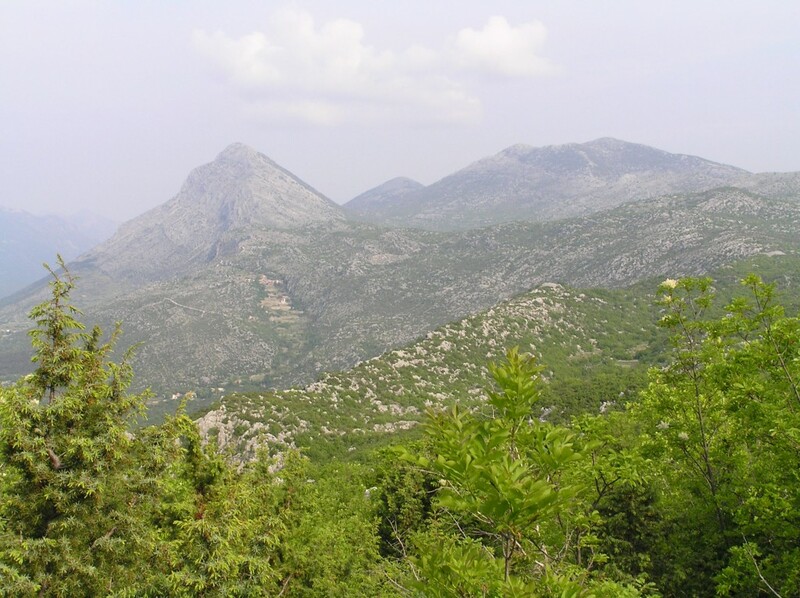 Through mountain way from Vrgorac towards mountain Matokit, to the hilltop St. Rok (1062 m) with the beautiful panoramic view to Vrgorac, Herzegovina, Dalmatian zagora and all places we are going to visit in the next days. Pause for the lunch (lunch package). From the peak going down through hiking trail and village Kokorići. After 5 and half hours walking the day ends in the village houses in Kokorići (84 m above sea level). Dinner and overnight. 3. Day – Breakfast. After breakfast walking through the plantations of strawberries to 300 m far cave Betina (90 m above sea level), which becomes a spring during the rainy months and overflows the whole field so that the field is cut from the rest of the world. 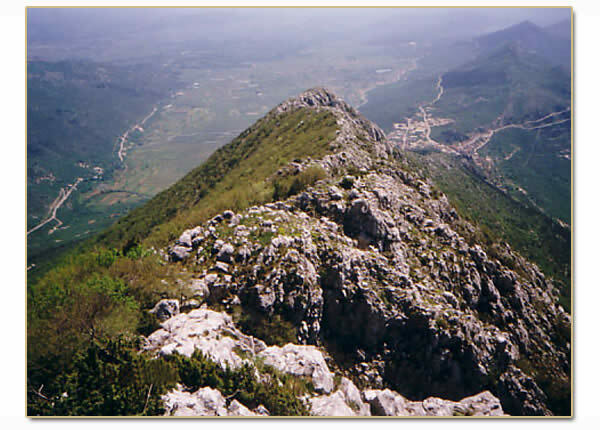 The walking goes along the way which leads us towards sea across Višnjica, Rakića staje (600 m above sea level) to Zjatva(889 above sea level), the cave in the karst, which is without bottom. The cave has diameter of 150 m. Going down till 200 m is planned. 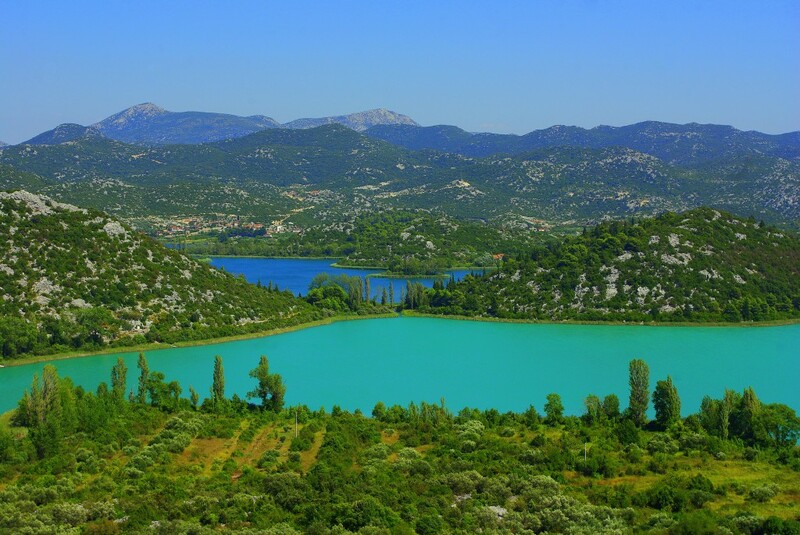 There is a surprise there: an opening through which you can go out to the rock above the Adriatic coast until the depth of 200 m. From there there is a wonderful view to the islands of the Middle Dalmatia. On Zjatva is a pause for lunch. 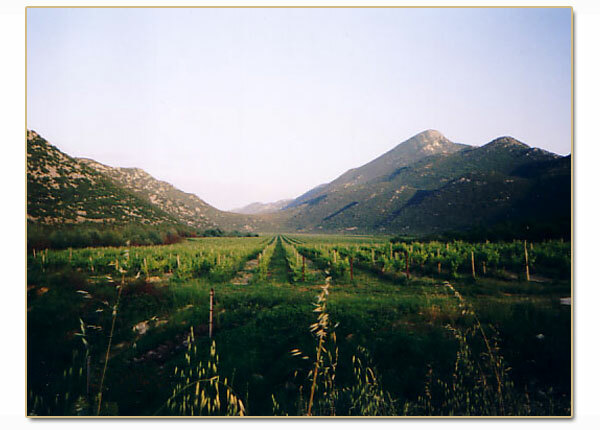 Through a path across Dolac is a return to Kokorići (another way). For this day 5 hours of walking are planned. 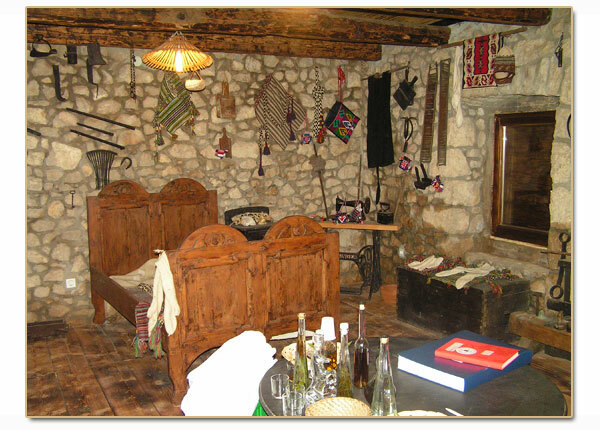 Dinner and overnight in ETHNO village Kokorići. 4. Day – Breakfast. The most challenging part of the programme follows. First the mini-bus transfer to the village Butina in the field Jezero. 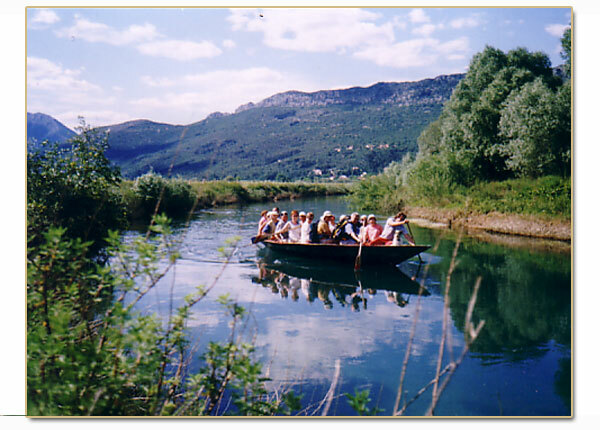 Getting on the traditional wooden boats, leading by skipper down the river Matica which flows through the field Jezero. You row about 2 hours. 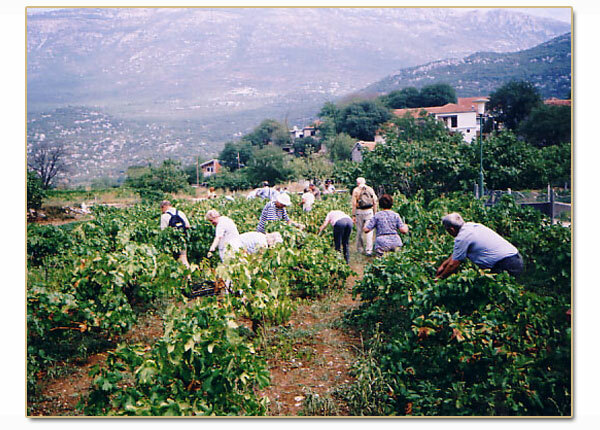 After that you are transferred to the other end of the field to village Staševica (30 m above sea level). From Staševica across Gradina, Mateljci, Usorac (rest for lunch) and Potklek in 5 and half hour walking through mountain path you reach the unique Baćinska jezera (lakes). The height difference is about 350 m. After rest on the Lakes return by mini-bus to Vrgorac. Dinner and overnight in hotel Prvan. 5. Day – Today is in the programme the day for resting. 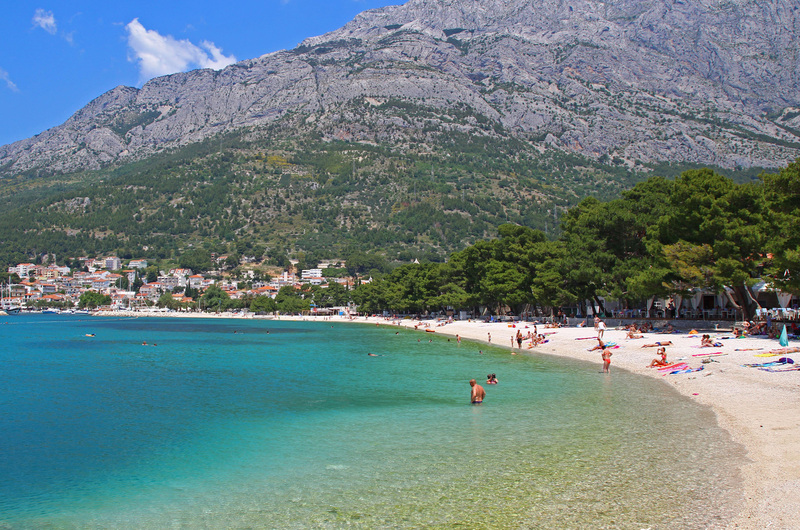 We planned the drive with mini-bus to the well-known tourist resort Makarska (35 km). Lunch is in Makarska in the traditional restaurant and after that is return to the hotel «Prvan» in Vrgorac before dinner. 6. 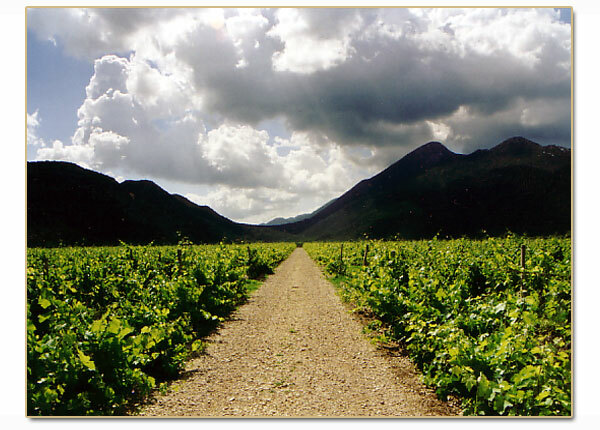 Day – Going down 4 km to the field Jezero, well-known as area of vineyards. This day is planned for biking around fields (a circle around field is 40 km without difference in sea level) and through the field. Return to Vrgorac in the afternoon. Dinner and overnight in hotel «Prvan» in Vrgorac. 7. Dan – Breakfast. After breakfast preparation for leaving to the Split airport. Transfer and end of the programme.